It was lunchtime. Mom, at the kitchen counter, stirred lemonade into iced tea, my two older brothers stood beside her making peanut butter and jelly sandwiches, and I sat at the table, coloring, my crayons scattered across the enamel. A man walked onto the back porch and spoke through the screen door. I thought he asked, "Do you want a Collie?" I looked up from my coloring book and said, "We already have one. His name is Teddy." I scraped back my chair. "Want to see him?" Then the sad man said he had run over our dog with his car. Teddy was dead. We walked to the highway and looked at Teddy as he lay on the pavement, eyes closed, as if he were asleep. I patted his tummy and cried and tried to wake him up, but he didn't move. No more Teddy. No more Teddy chasing sticks and lapping water over the edge of his bowl. No more Teddy snuggling his nose under my arm as we sat on the porch steps. No more silky amber coat and firm presence. No more best friend. My heart ached. The story ended with how Teddy had given me an irreplaceable security and comfort, a special belonging to the world. That he had taught me the importance of unconditional love and shaped the buds of my spirit. I wrote that story with my 12-year-old heart, giving little thought to structure or form or convention. Mr. Feltman must have understood the vulnerable ego of a young writer because he didn't mark the paper, didn't comment about paragraphing or organization, and didn't tell me to rewrite it. He accepted my story as it was - raw, coarse, unpolished - a heartfelt memorial to my best friend. It was probably over-the-top maudlin, but it was pure and honest. When I became a seventh grade English teacher, I used Mr. Feltman's wisdom to guide me in directing the writing efforts of transescents - tweens teetering on the bar between silliness and sophistication. I understood their writing brains and the need to have their thoughts and feelings acknowledged - that passion held merit. Whatever is put on paper, as long as it's sincere and offered with integrity, carries value. Accuracy, organization, and structure will come - in time - by reading and through instruction. Research, study, and lots of practice of technique and style can transform a budding writer's work from rough emotion to a solid piece, but original ideas don't rise from the texts of authorities. Ideas come from the font of existence - the harvest of life- the breadth and depth of being - the stuff that lives in the soul. Only authentic, slice of life experiences inform the writer. No one can teach what grows in the heart. My real writing life began after I stopped teaching and had time to focus on the one passion I had only dabbled in when I was too busy keeping a working schedule. After I quit my job, I had the house to myself - my daughter off in California, married, with children of her own, and a husband at work. I had the luxury to spend time writing whole stories uninterrupted. I became part of a writers group and built a literary blog of personal narratives - slice of life stories about rich experiences living and working in several cities across the US and Canada. And I joined the ranks of other writers who go to prominent writing workshops. 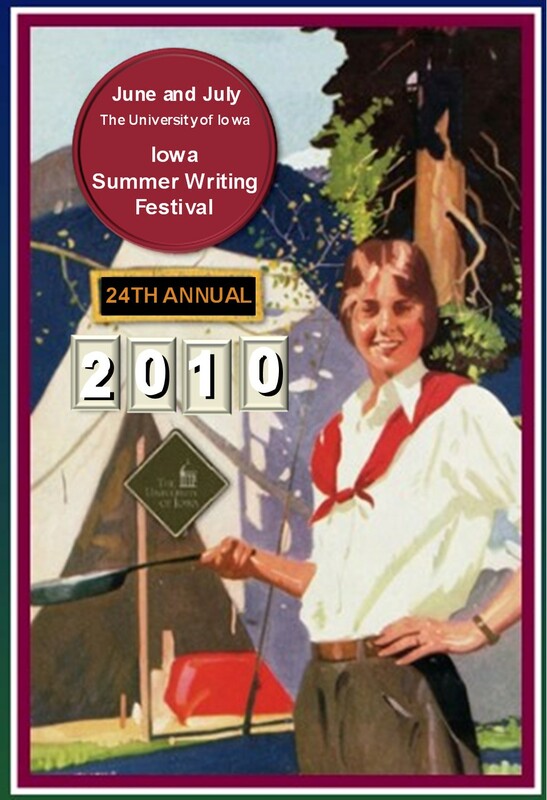 I started with two classes at the 2009 Iowa Summer Writing Festival in Iowa City. Both classes, led by authors of bestsellers, maintained a perfect blend of stimulating instruction with support and affirmation. Both teachers appreciated the personal writing styles of their students and acknowledged the voices that spoke from the center of student writings. Both teachers demonstrated ways to enhance writing and move toward mastery, advancing our skills through thoughtful critiques and helpful lessons in technique, style, structure, and word choice. Both leaders smoothed the rough edges of my style and elevated my level of expertise. I left Iowa nourished and confident. It was an experience I wanted to repeat, so I registered for a week of classes at the 2010 Iowa Summer Writing Festival. Because I wanted to test the waters at a new venue, I sought entrance into a another writing workshop that only accepted applicants based upon the quality of their work. In February, I applied for a class in non-fiction, which would be taught by a well-known author, and I submitted a 20-page piece of writing for review. In March, I received a congratulations-you've-been-accepted letter. I could barely contain the excitement at having received official accolades for my writing. It was like getting an A+ on a paper. Like having my art displayed on a museum wall. I bragged to my friends. In July, I travelled across the country to the first of my two summer writing workshops - the one that had accepted me based upon the merit of my work. I knew what to expect. After all, hadn't I been to Iowa? Hadn't I fit in well with seasoned writers? Hadn't I been appreciated for my writing? Admired for my flair? Respected for my style and voice? Valued for my ability to analyze, with finesse and expertise, other student papers? I hit the mark at Iowa. How different could writing workshops be? Yes, I knew what to expect. I'd have a week of stimulating classes led by an author of bestsellers. I'd participate in critiques of my writing and those of my eleven fellow classmates. I'd kick-start my enthusiasm and flesh out new writing strategies. I'd hone my already sharp skills. I'd find fresh approaches to writing my slice of life stories. They'd play new melodies and sing songs with crisp lyrics instead of humming along to the old tunes. I'd be immersed in exciting ways to spiff up my golden oldies. At the beginning of class, we circled the room, introducing ourselves and telling a bit about our writing - current projects, writing style, preferred genre, publications. This was a very accomplished group of women. A couple of them had published articles in periodicals and online journals. One woman had just sold her novel to a well-known press. Another woman wrote stories and read them on National Public Radio. When it was my turn, I mentioned, with pride, that I wrote slice of life stories, that my genre was mostly memoir and personal narrative. I added that I had a collection of stories in mind about people in my hometown and that I was considering a larger project centering on the experiences of my family after we left the States for Canada during the Vietnam War Era. When it got back around to the teacher, she said, "Well, first of all, slice of life stories don't sell. They're not popular. Agents barely look at them. Unless there is an on-going story holding them together, I wouldn’t recommend trying to pitch stories like that to an agent." Womp! This I didn't expect. Excuse me? 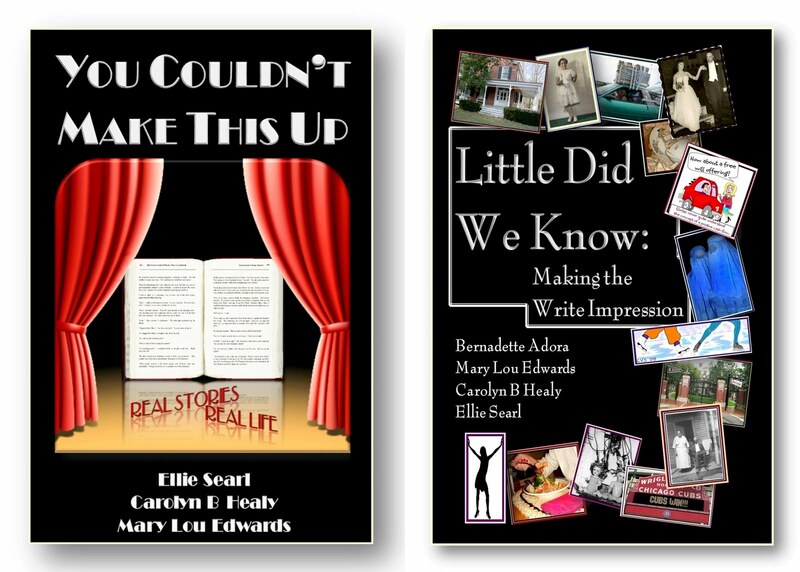 Slice of life stories don't sell? Hel-lo-o. What about NPR's Ira Glass and "This American Life?" What about CBC's Stuart McLean and "The Vinyl Cafe"? 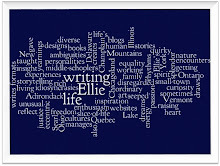 What about Alice Munro? Don't they write short stories? Aren't they slices of life? And aren't they published? At the sounding of this death knell, my writing confidence, still bursting at the seams from my welcoming experiences at Iowa, lay at my feet, looking up at me with doleful eyes, asking, "What just happened?" All the usual questions students ask during the first hour of class popped into my head. Am I in the right room? Should I check the number on the door? And if I am in the right room, do I belong here? Did I sign up for the wrong course? Should I stay? The old fears of student-hood came hurling down at me and lodged in my notebook. My ego took a nose-dive. I went into a writer tailspin. This wasn't the stimulating, fostering environment I'd expected. My slice of life stories? The mainstay of my repertoire? No longer viable? Had I spent over 1000 dollars and travelled 2000 miles to be stuck in a writing workshop cul-de-sac? It became clear that this writing environment wouldn't be about the excitement of the process - passion for writing was a given. This workshop would be about following recipes for publication. About what's good and what isn't, according to the market. About what agents want and what they don't. About what will sell and what won't. I certainly wanted to be published. What author doesn't? But I wasn't burning to pound my chest at the summit. I still loved the climb. However, and here is the clincher, this class would teach me what I needed to know - the difference between professional authorship and amateur verbiage. The difference between really good writing and really bad. This class would show me the ropes - the nitty-gritty - which, according to the teacher, each of us in the class, as demonstrated by our papers, needed to learn. This class wouldn't be about appreciating the heartfelt thoughts dredged up from the bottom of a writer's soul - it would be about how to get those thoughts on paper so they don't sound like they were written by a seventh grader - or even by a somewhat inspired adult. Mr. Feltman had left the premises. I wasn't in Iowa anymore. "After all," our author/instructor said, "you didn't pay all that money to have me pat you on the back with a 'job well done,' then send you on your way. I believe," she continued, "that you came here to discover how to apply excellence to your writing. 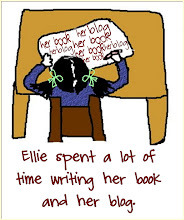 How to prepare your novels for publication." She told us we'd study the experts, have lessons in authorship, and critique the papers we had submitted, pointing out what works, but focusing on what doesn't. "Don't expect to be comfortable." My paper would be critiqued on Thursday. That gave me four lessons in the art and excellence of writing and six critiques of student work before it was my turn. By the time my paper came up for review, it was clear that the good stuff received a quick wave of the arm and a, "That's ok, but it'll work better if you tweak it." And the bad stuff got hollered at. By Thursday, I pretty much knew what was bad about my paper. I still thought some of it held promise, but I didn't expect much praise, considering that lambasting literary lousiness was the primary objective. First of all, and I already knew this, we were advised to use the active, not passive, voice. On one student's paper, the teacher had circled the word was 23 times - all on the same page - and told everybody. Wanting to be prepared for the censure, I counted the was's and were's in my paper before my critique. But use of the passive voice never became an issue. In fact, the instructor gave me credit for using funny, active verbs - albeit too many of them, she said, in the first paragraph. My downfall turned out to be quite different than that of the other students. My big no-no centered on demonizing characters, which is a really, really Bad Thing to Do. Now, I knew that. Don't demonize your characters. But I did it anyway - I couldn't think of anything good to say about him without lying. And I got hammered for it, pretty much by the entire class - as I should have been. I wrote about a despicable, self-righteous, horrible little orthodontist for whom I worked when we lived in Syracuse many years ago - and I let him have it with both ink cartridges. I demonized him something awful. Eleven pages of harangue. Had I leaned back from my keyboard and analyzed this diatribe with a discerning writer's eye, I might have noticed that I presented my boss as a one-dimensional lout in a lab coat, not a well-rounded human being with a couple of good qualities mixed in with the bad - good qualities, mind you, that all people possess regardless of how low a person gets. Even criminals feed cats. I thought about Tony Soprano and how well drawn and engaging - how human - his multi-faceted role as son, husband, father, friend, mob boss, thief, and cold-blooded killer. Tony grilled steaks on a back yard barbeque for birthday parties. He took Prozac to diffuse the panic attacks he suffered after his sweet family of ducks flew away. Perhaps I should have written that my dentist boss brought me homegrown tomatoes in September or that he gave discounts to kids who didn't break their wires. That would have illustrated a nice side of the orthodontist, but no, I didn't do that. I didn't give him even an ounce of nice, piling instead, a heap of nasty on his poor, probably dead-by-now soul. That was bad writing. Big-time bad. I've since rewritten the piece and posted it on my blog. It's now for the audience to decide if my character has been humanized - if he's palatable enough for a reader's stomach. Throughout that week, my writing ego tied itself to my ankles and clanked along, dragging itself through the dirt, kicking up dust and grime. Slice of Life trailed behind, whimpering for attention, before it gave up and went home. And even though the string almost broke, my writing ego stayed attached regardless of the scrapes and bruises it encountered along the way. I managed to suffer through the trauma of discovering the blunders in my writing and how good it could be if I'd only do this or that or the other thing. I left that workshop worn out - exhausted - and humbled, knowing I had many paths to travel before reaching that milestone of excellence in writing, never mind an agent's eye. Three days after returning to Chicago, I drove to Iowa to start my second writing workshop - a class called "Word Yoga: Exercises to Allow Your Prose to Stretch, Focus, Breathe." I sat in the room and waited for the introductions, wondering what, if anything, I'd say about my now almost defunct idea of writing slice of life stories. At the beginning of class, B. K. Loren, the class instructor, wrote on the chalkboard, "Everything is OK!" Then she announced, "We leave our egos at the door in this class. We're here to experience the joy of writing. This isn't about publishing - it's about being in the experience. And no matter what level of writer you are, you'll be better by the end of the week." With B.K. 's guidance, and the encouragement that swirled through the class that first day, my ego climbed back into the saddle, waved at me, and sauntered off to play in the sun while I embarked on a series of writing exercises that would rekindle my writing spirit and inject energy back into my stories. Yes, there would be lessons in the difference between good and bad writing - between professional authorship and amateur verbiage. But the focus would be on the process - the passion - the climb. By the end of that first class, I had wandered back into my imagination and found Teddy, Mr. Feltman, and all the loyal characters of my slice of life stories waiting for me - to pick up where I had left off.